MOLDOVA. Transdniester. 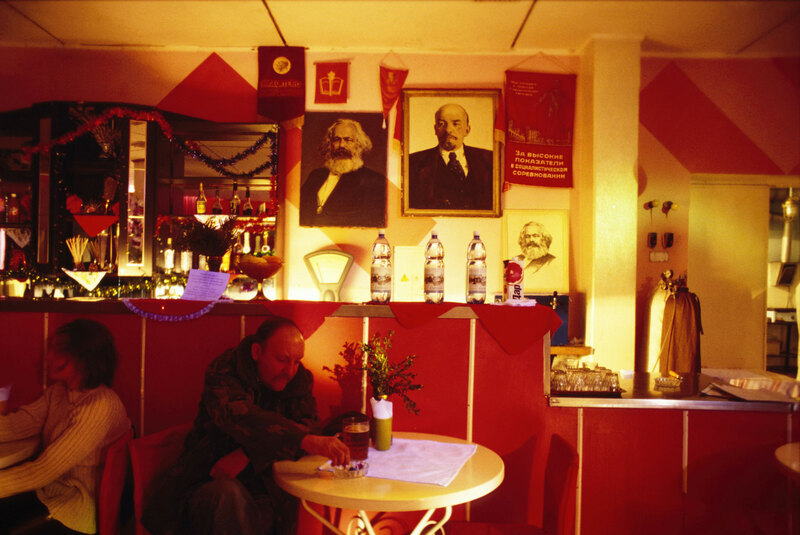 Vladimir LENIN and Karl MARX hanging on the wall of “Red Heat”, a drinking hole in the capital Tiraspol. A visit to Transdniester resembles nothing more than time travel back into Brezhnev-era Soviet Union. 2004.